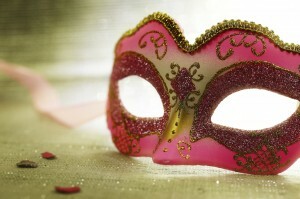 There are times in life where we feel compelled to wear a mask to cover up who we are. Regardless of whether this is right or wrong, many of us, at some point in our lives, feel like we must do so to “fit in.” This does not only occur on an individual level, but on a national one as well. The Jewish People, throughout history, have moved around from place to place. Each time we encountered a new civilization, we often felt required to put on a different mask. The result of this for many being, an increased level of assimilation, and often the abandonment of Judaism and its values. This is precisely what happened in the story of Purim, over 2500 years ago. At that time, a new dictator came to power in the city of Shushan, King Achashverosh. He was known to be ruthless, but also quite the party animal. King Achashverosh would arrange a big feast each time he conquered new territory. Everyone, both Jews and non-Jews alike, flocked to the King’s palace to celebrate. You might be thinking, “Well… what’s so bad about a good party?” In general, that might be true, but in this particular case, it was a bit more complicated. One of the King’s most celebrated conquests was the subjugation of the Temple in Jerusalem. At one of the King’s feasts, the Book of Esther records that the King Ahashverosh appeared before the crowd, drunk, and dressed in the garments of the High Priest. You could imagine how uncomfortable the Jews felt, dressed up in their “masks,” pretending to celebrate their own defeat. Sometimes when one is too caught up in pretending to be something, or somebody else, it may become increasingly difficult to stand up for who they really are, or what is most important to them. This idea is relevant today more than ever. Jews have, and always will, be placed in situations where we seemingly have to sacrifice our identities or values for the sake of “fitting in.” We might feel compelled to put on different masks, or be apologetic for what we believe for the sake of appeasing others. However, history has shown that the only way the Jewish People can survive and prosper, is to be proud of who they are and what they stand for. That is why the Jewish People were given the Torah and the Mitzvot, to serve as our guiding principles, and enable them to stay true to themselves, despite the surrounding influence. On Purim we celebrate by wearing masks, because we remind ourselves that things are seldom the way they seem on the outside. We too are often not the way we portray ourselves to be. This Purim, let’s be proud of who we really are, and allow that beauty to manifest itself, not just on Purim, but throughout the entire year.